Condition : neuf avec étiquettes attachées. Idéale pour offrir en cadeau ! Couleur : nuances variées de gris avec des motos multi-couleurs (marron, orange, moutarde, vert, bleu et rose). Teneur en tissu : 70 % de Cachemire et 30 % soie avec cils frange ourlets. UPC does not apply. Color Multi-Color. Style Scarf. Joe est là. Cachemire . 95 % laine 5 %. S’il vous plaît consulter nos autres annonces polo et profitez des tarifs de transport combinés. Méthode d’expédition internationale : je suis heureux de l’expédions à l’étranger. 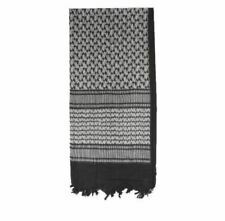 This scarf is 100% Authentic, Quickstrike, Sold Out Instantly. See the dedicated part below. Real good condition, no default. 30cm x 136cm without the fringes. ANTI FROID IDEAL. CE JOLI ENSMBLE COMPOSE D'UNE GRANDE ETOLE ET DE SES MITAINES ASSORTIES. Superb used condition, no holes or wear. FREE return if you do not like the Scarf. 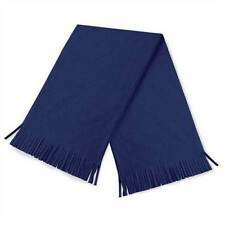 Superb used condition, no holes or wear, Free return if you do not like the scarf. It really is a super scarf, you won’t be disappointed. Superb used condition, no holes or wear. Shade: Dark Green (Drake). Each Scarf Individually Hand Machine Knitted. 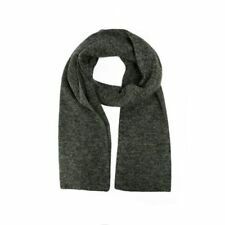 Burberry Nova Check Scarf 100% Cashmere Unisex Grey Made In England 160cmX30cm. Very good condition. Please note it has one tiny pen dot. Please see photo. Please ask any questions I’ll be more than happy to respond and please check out my other designer items. Aquascutum Swing Ticket attached. Prompt Despatch (Free within U.K.). Style: Scarf. Pattern: Plaids & Checks. Match all kinds of outfits. Suitable for daily look, work, party, wedding and other special occasions. A comfortable material and rich look. Length 170cm - 180cm. Width 16-17cm. 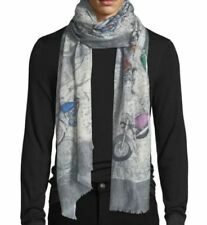 Burberry scarf cashmere. Length 120cm. Condition is Used. Dispatched with Royal Mail 1st Class. 100% CACHEMIRE rayé multicolore écharpe à franges 10" X 68"
Beautiful soft stylish scarf in good condition. Red & Black Tartan Check. Lyle & Scott. Aquascutum 100% cachemire laine unisexe écharpe "House Check" RRP 125 £ Entièrement neuf dans sa boîte. Aquascutum creates forward-looking desirable collections for individuals with an innate sense of class and style that is never out of fashion. Manufacturers Colour: Brown, Navy, Cream. Watch this item. Must for a rugby fan especially with the six nations and the world cup being played this year. Unisex so would look great on a lady or gent.